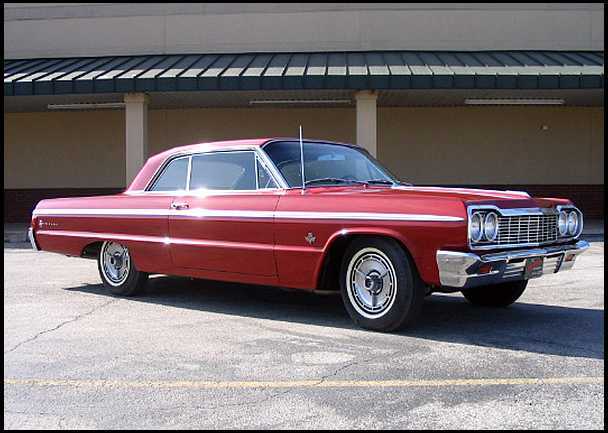 This would be a 1964 Impala SS. This is the car that the Beach Boys wrote the song “She’s Real Fine, My 409” about. It has the 409 cubic inch big block motor. While not a dual carb setup, it was and still is a potent performer and worthy of its own song. 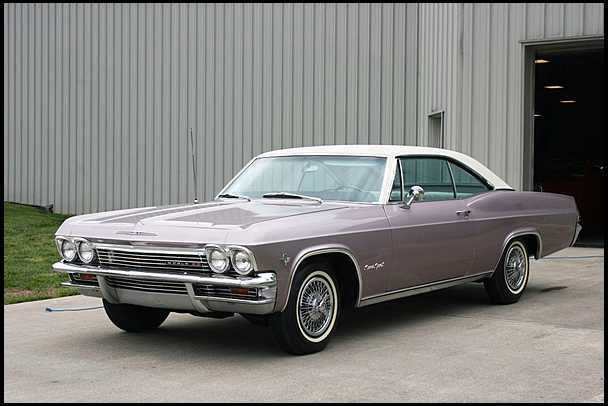 The 1964 Impala has the distinction of being the “Best Selling” car model ever made as it sold 1,074,925 copies in 1964 alone. This feat is even more amazing when you consider that they totally redesigned the Impala in 1965 and that car holds the number 2 spot at 1,046,500 copies. This was one of the facts behind the Chevrolet Division at General Motors being slow to respond to the introduction of the GTO model over at Pontiac. The GTO in 1964 caused a stir in the automotive community and the car manufacturer’s scrambled to come up with their own performance models. But Chevrolet, through its own arrogance as the #1 division at General Motors felt their Impala with its Super Sport model had already established the Muscle image they needed. And better yet they did it with the heavyweight class, not the welterweight division. After all, why would the car buying public want to drive a “Prince” when they could have the “King”? And as a company, why would they want to earn a couple hundred dollars when they could earn double on a “full-size” vehicle. Chevrolet had the Corvette model which was a true sports car, and they had the Corvair which was designed to compete against the European sports cars. With the full size Impala carrying the Performance torch for the division with the American family, why would they need to claim the title for the junior league as well? 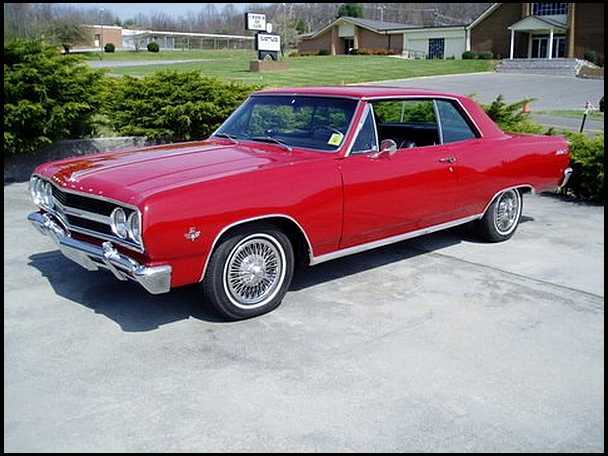 The 1965 Chevelle Malibu SS 327 had the engine from the standard model Corvette although slightly detuned it was the venerable 327 from it’s “sports” car. Oldsmobile responded to the 389 powered GTO in 1965 by upping the ante with its 345 horsepower 400 cubic inch power plant being installed in the 442. The 442 model now stood for 400 cubic inches, four barrel carb, and dual exhaust. Despite in my opinion a rather stodgy design it was a good performer and put the Oldsmobile division on par with Pontiac in the new Muscle Car marketplace. 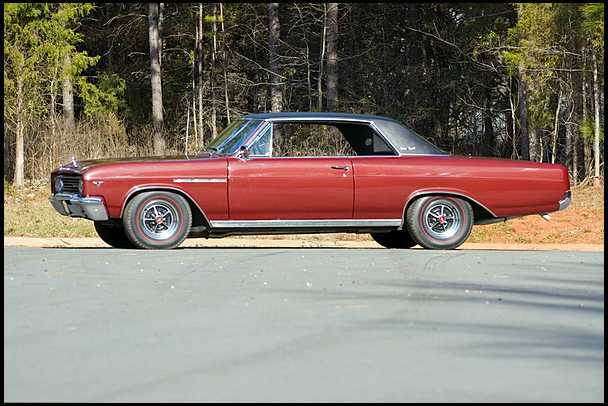 In 1965 Buick finally came into the marketplace with its Buick Skylark Gran Sport. This was the version of the Special model with the Buick “Nailhead” 401 cubic inch motor. Due to new rules limiting the engine size to 400 CID for midsize vehicles, Buick simply listed the engine as a 400 on its literature. 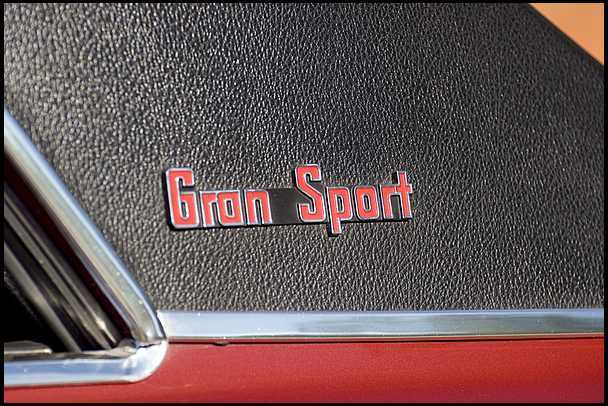 For the sake of clarity the GS as these cars would come to be known did not stand for Grand Sport, it was Gran Sport. Buick made GS or Gran Sport versions of almost all its models, partly because the management did not want to miss the boat for the next wave of performance buyers. They had a Riviera GS as well as the Wildcat GS which moved them into the 425 CID “Wildcat” engines since they were larger vehicles and the displacement restrictions did not apply. With Pontiac laying claim to being the “Original” muscle car and both Oldsmobile and Buick now pushing big block engines and their massive power, it was finally time for Chevrolet to either throw in the towel or answer the bell. So answer they did. It was the Chevelle Malibu SS396. It would go on to become a true legend. The original 1965 versions were built on the stiffened convertible chassis because of concerns over the engines massive torque compared with the small block engine. This was a lesson picked up from the Pontiac division since all GTO’s were also built on different frames than the Tempest and LeMans models. This also meant these cars had their own VIN number and as a result makes them “easier” for collectors to identify as such today. In the case of the GTO there is also a frame identification to use for verification. 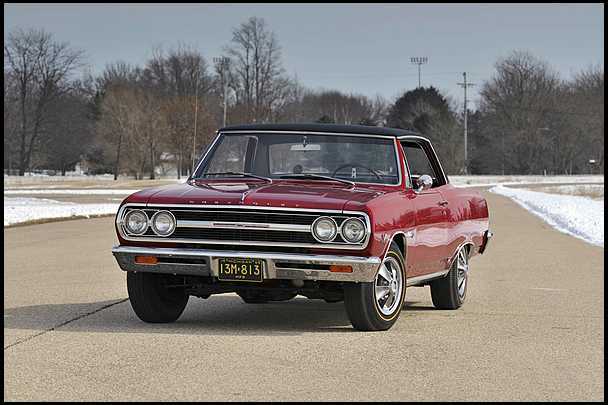 The 1965 Chevelle Z16 SS, as it was known due to the engine designation, was however limited its first year of production. A handful of prototypes such as the one pictured here and another 201 were all that was made in 1965. They are among the rarest and most valuable muscle cars today. This prototype sold a couple of years back for around $375,000. Not bad for a car costing around $3500 new. 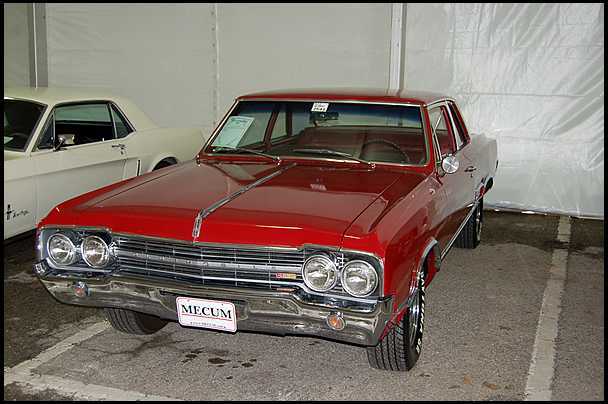 This covers the General Motors end of the 1965 model year as pertains to the “Muscle Car” segment, and there are more than just GM vehicles to show you, but the others will have to wait for the next installment. After all, I need you to keep reading this blog. So, later all. Thank-you for stopping by and more in about a week.